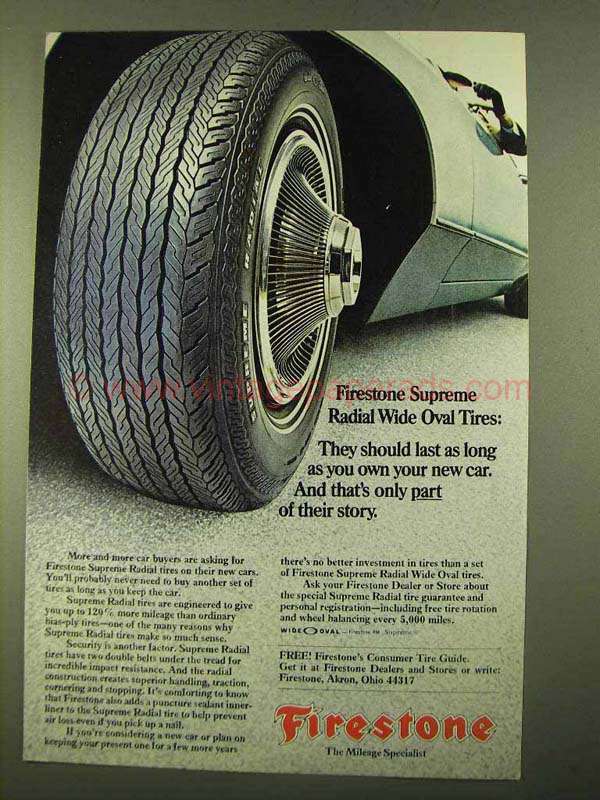 This is a 1970 ad for a Firestone Supreme Radial Wide Oval Tires! The size of the ad is approximately 6.5x10inches. The caption for this ad is 'They should last as long as you own your new car. And that's only part of their story' The ad is in great condition. This vintage ad would look great framed and displayed! Add it to your collection today!